NLP Leadership Summit Members – you are invited to attend the NLP Colloquium taking place in Alicante, Spain. We hope you will be able to join us for associating, collaborating, assimilating and communicating with your fellow leaders of NLP. As we did in 2016 & 2018, we are meeting and staying at the Melia Alicante Hotel. Meeting delegates are responsible for their own transportation, accommodation and meals during the meeting. We have secured a group rate to assist everyone to be able to attend. We will provide you to a link to secure your discounted accommodation once you register. Please use the link below to register your attendance and pay your fees. Heidi Heron, who will be keeping a list of the participants. Payment of €55 is due at the time of registration. If your plans change, please let Heidi Heron know by 30 December and a full refund will be provide (less any bank fees). The plan is to call top NLP Leaders together for a 3-day Colloquium wherein we get acquainted, associate with one another, and have the kind of critical and difficult conversations that we need to have. 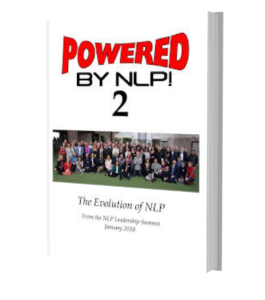 Leaders: The “leaders” include anyone who is operationally leading people in the field of NLP— Trainers, writers, researchers, editors, sponsors, etc. 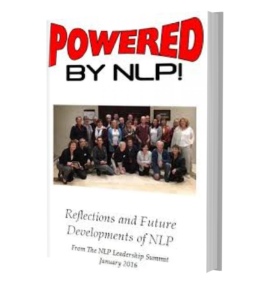 anyone who has or is influencing people to care about and operate in the field of NLP. Assumption: Our working assumption about this is— Like it or not, we are the leaders. The challenge is: how are we doing? Are we the leaders we need to be? Are we grooming leaders for the next generation? Are we leading the field in a way that will make people proud? Leadership: As a field without formal leadership but hundreds if not thousands of operational and functional leaders— the time has come for us to do some critical thinking about where we are and where we want to go. Associating: As a field we have lots of Associations and small communities. These are usually built around a single person or a model, but we do not have a sense of a worldwide community. We are not seeking to create a super-association, but something much more simple— to simply associate with one another. The design is to reduce the separations, the suspicion of each other, the bad-mouthing of those we disagree with and create a more respectful and cooperative international presence. Then, as “an informal meeting for the exchange of views,” our aim will be to come together and use various group self-management processes and practices— Open Space, Appreciative Inquiry, Groups of 8 to 10 persons to work on subjects and sharing results on dozens of flip charts, then sharing the “leadership” by drawing names for who will moderate or summarize and lead a larger group conversation. These are just suggestions given to begin a conversation about how we will move forward.